Lightfoot was signed to Warner Bros./Reprise in 1970 and had a major hit in the United States with this recording. 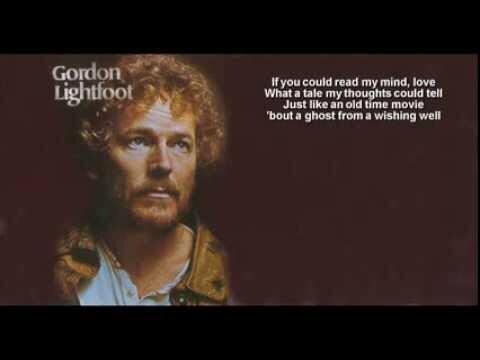 The song has been recorded more than 100 times, first by Lightfoot himself for “Sit Down Young Stranger” and then by other artists including Carroll Baker, Glen Campbell, The Bells, Johnny Mathis, Liza Minelli, Barbara Streisand , Andy Williams, and Johnny Cash. The album was not a commercial success, but after the song reached #5 on the US singles chart in 1971, the album was renamed after the song and re-released, reaching #12 in the pop charts. Johnny Cash covered this song on his last album before his death in 2003.